You’re nominated in two categories, "Best Folk/Acoustic Artists" and "Best Singer/Songwriter" at the 2012 Artists In Music Awards. How do you feel about this? Thrilled, privileged and giddy with excitement over the nominations! It's been a crazy few years leading up to this-life threw me a few unexpected curve balls on the health front-so it means even more to me to receive recognition for Aoede's music! I've worked really hard over this past year to live my dream through many challenges-and collaborated with an amazing producer, Scrote, and fantastic musicians on the most recent recordings from Affair with the Muse (2011). I also really invested in social networking, and I've found so many people to be supportive of the nominations! I'm so appreciative for the positive feedback, support and belief in Aoede's music. Filled with gratitude and love! Will this be your first awards show and have you received an award before? Yes, first awards show! I was one of two winners for an Express in Music Contest in May 2011 to pitch an original song to a brand! I pitched Aoede's "Love Proof" to Apple and won the popular vote and some prize $$ and a pitch! 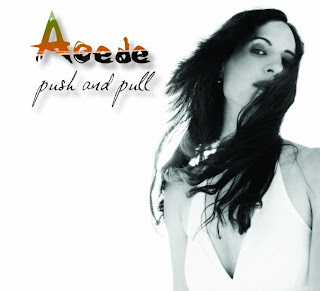 Aoede was crowned Womens Radio's Artist of the Year 2008, and Aoede's Push and Pull (2008) was one of Womens Radio's Top Albums of the Decade! In Aug 2010 Aoede's “I Lost You Win” single charted at #11 on the International Association of Independent Recording Artists (IAIRA) International Top 15! I also am a multi-year (at least 4 years) ASCAP Plus award recipient! This being our inaugural year, how did you hear about the All Indie Music Awards? I believe Aoede's song "Love Proof" was on Great Unknowns Presents earlier this year-I follow the show and probably first heard about it there. Have you listened to some of your competition's music, what do you think? Yes!! Such talented, compelling singers, songwriters, and musicians-I am just tickled to be included among such high caliber artists, and so pleased that Aoede's music resonates with people in similar ways! Explain your road to the AI Music Awards, where you involved in music from a young age? Albums – how many? Your personal favorite? Your most recent? Super active in drama, musicals, and singing/performing, writing from a very young age and through high school. As an adult, one of life's many transitions found me re-inventing myself as lead singer in a cover band for a few years back in 2002 where I started writing original songs, playing guitar and discovering my muse. I formed Aoede (pronounced A-E-D) late 2005. The name means song in Greek mythology and Aoede was the muse of song. I wanted affiliation with the muse to remember to be inspired and to continually inspire. Aoede is compelling pop for your heart... Fans of Ingrid Michaelson, Regina Spektor, Feist and Lily Allen resonate with Aoede's quirky brand of pop music! As I mentioned, life threw me a curve ball in 2008, so I have been focusing a lot lately on writing, recording, and licensing for film and tv. Music is my lifeline, and I use music and the creative process to inspire others to keep their dreams alive! Super excited to be completing my 4th studio release (2nd full length album) now and plan a Spring 2012 release! Released first EP Ear Candy (2006), first album Push and Pull (2008), and 7-song digital EP, Affair with the Muse (2011). Push and Pull was included in Womens Radio's Top Albums of the Decade for 2008! My favorite is Affair with the Muse! I believe this most recent album reflects a new artistic direction for Aoede, more developed songwriting and more honesty from compelling life experiences. The main theme-going around and around on the wheel of love-is reflected not only in songs such as Love Proof or Fairy Tale Love, but also in the album's digital collage artwork: a ferris wheel. I was privileged to work with an amazing producer: Scrote, engineer/mixer: Mark Needham, and stellar crazy-talented musicians (e.g., Rob Shrock (Burt Bacharach), David Palmer (Fiona Apple), Blair Sinta (Melissa Etheridge, Alanis Morissette), Dave Piltch (Sam Phillips), The Section Quartet)! My new album (2012) will include 6 brand new songs and the 7 songs from Affair with the Muse-with new elements and totally remixed and mastered! Would you recommend other artists to enter this awards show? Where can readers find more of your music and music videos? I love to connect with new fans! If you want to listen to Aoede's music, Reverbnation is a great place to do that! Lastly, what are you looking forward to most at the Artists In Music Awards?